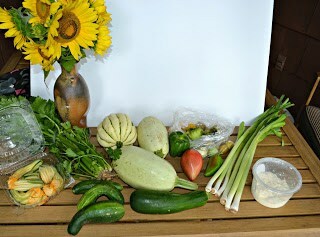 This is one of the last weeks I’ll be able to get our CSA share. I start back to work and we can only get our share during the day on Fridays so my husband will have to start getting it soon. I’m really going to miss going to the Farmer’s Market every Friday and choosing my own produce. It’s been such a refreshing time for me. It was another full bag for our CSA this week. Included in the share were: squash blossoms, spaghetti squash, acorn squash, cucumbers, zucchini, tomatoes, tomatillos, green peppers, leeks, sunflowers, and queso blanco. Tons of goodness, right? We were doing a little traveling this week so I was worried about what to make in order to use all the produce since we would be good for several days. We used the squash, zucchini, green peppers, and leeks in a pork stir fry that I’ll be sharing in a few weeks. I used the spaghetti squash in a spaghetti dish I’ll be sharing next week. My husband used the cucumbers and the remaining leeks to make cucumber onion salad. Then came the squash blossoms. I finally bit the bullet and made squash blossoms stuffed with the queso blanco. I was nervous about it and wasn’t sure how they would taste. It turns out the were good! The are very delicate and have a slight vegetable taste to them. 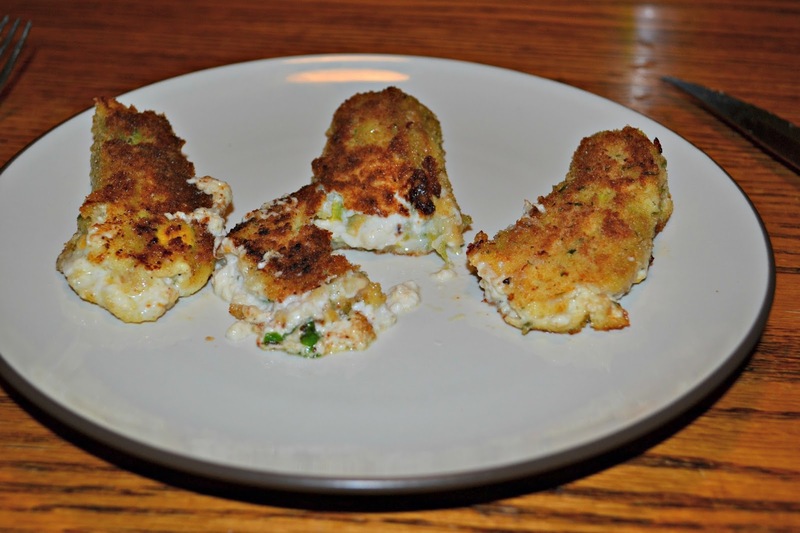 I stuffed them with the queso blanco and then pan fried them until they were crisp. It made for a gooey stuffed, crispy coated squash blossom. Give them a try, they are good! I promise! 1. In a small bowl combine the queso blanco, garlic cloves, salt, pepper, and cilantro. 2. Cut the tips off the ends of the squash blossoms. 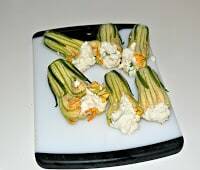 Stuff the cheese mixture into each of the squash blossoms. 3. Place three shallow dishes on the kitchen counter. 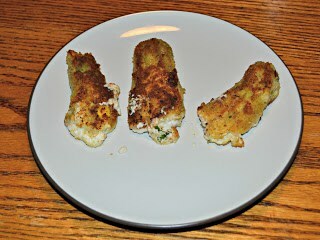 Place the flour in one, a beaten egg in the second one, and the breadcrumbs in the third one. 4. Roll the squash blossoms in the flour and shake off excess. Dip into the egg and let the excess drip off then roll in the breadcrumbs. 5. Heat the olive oil in a large skillet over medium heat. 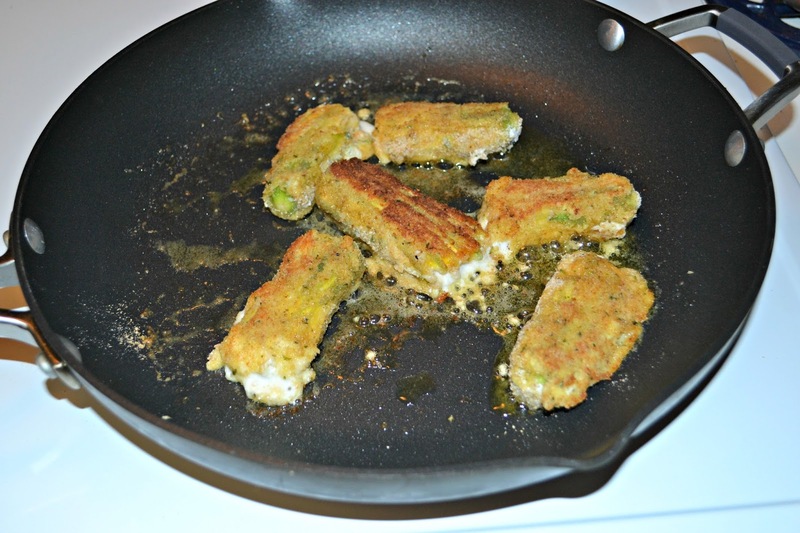 Add the squash blossoms and cook for 3 minutes per side or until golden brown. Remove from pan and serve hot. Then we have the tomatillos. Can I tell you how excited I was to have these in our bag? The last time I used tomatillos I had the worst time finding them in our area. Wal-Mart was out of them and Martin’s wasn’t selling them so I had to go about 60 miles to find them. I knew exactly what I wanted to make because I’ve had an enchilada recipe bookmarked forever. 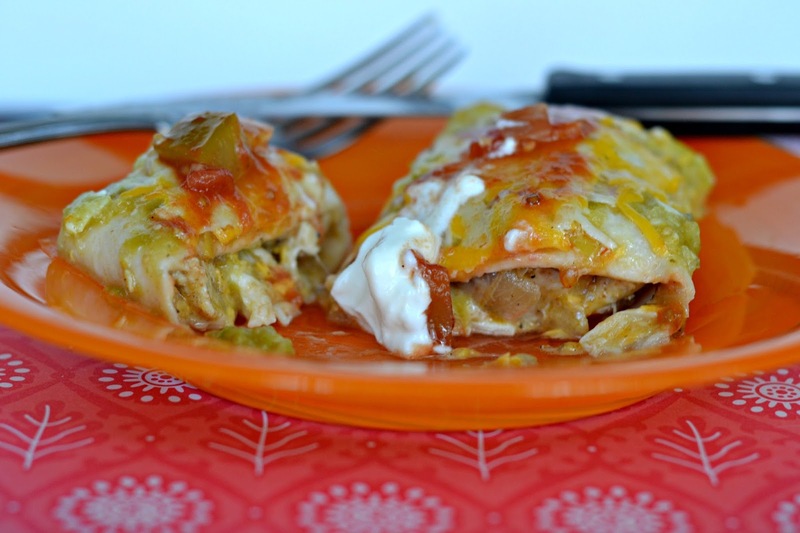 The enchiladas are stuffed with chicken and cheese. 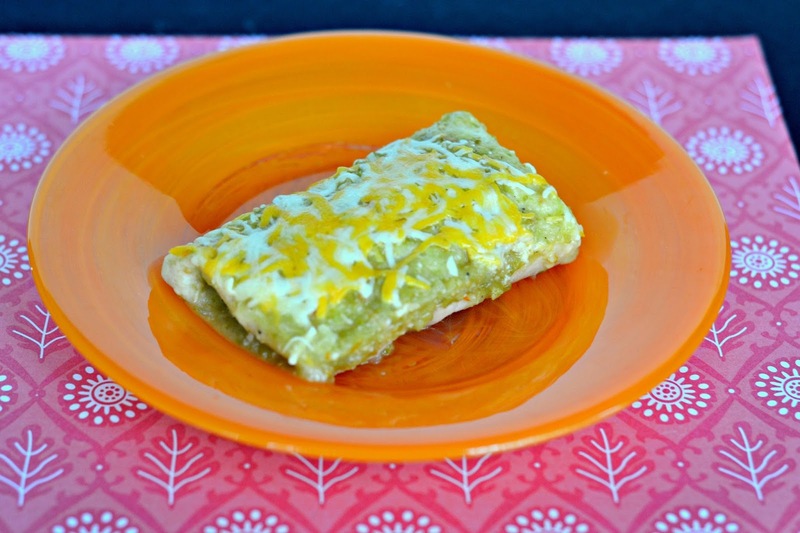 Then it’s topped with the tangy, spicy tomatillo sauce. 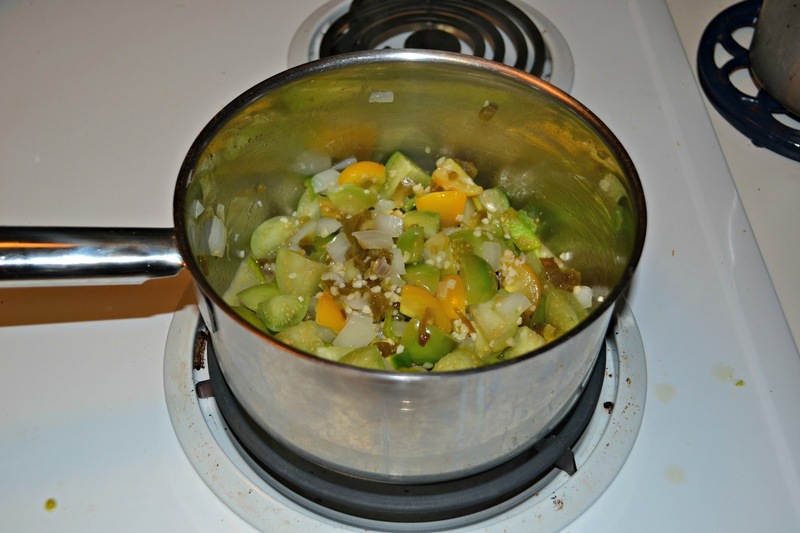 The sauce is made with fresh tomatillos, jalapenos, peppers, onions, and garlic. 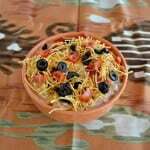 It tastes amazingly fresh and delicious. 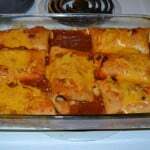 I topped the enchiladas with homemade salsa, because why use store bought when your other ingredients are so fresh and tasty? 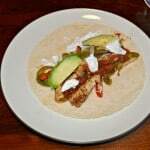 I also put a little sour cream on top too. 1. Heat the olive oil in a medium saucepan over medium heat. Add in the onions and cook, stirring occasionally, for 5 minutes. Add in the garlic and cook for 1 minute. 2. 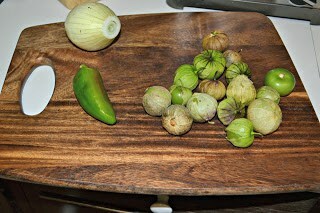 Add the tomatillos, jalapenos, salt, and pepper to the onions and cook for 2 minutes. Add in 1/4 cup of water and reduce heat. Simmer for 10 minutes. 3. Remove sauce from heat and cool for 5 minutes. Pour into a food processor and process until smooth. Set the sauce aside. 4. Heat the olive oil in a medium skillet over medium heat. Add the onion and garlic to the pan and saute for 5 minutes. 5. Add the chicken to the pan and immediately sprinkle with cumin, paprika, red pepper, and black pepper. Cook for 5-7 minutes or until the chicken is no longer pink. Remove from heat and cool for 5 minutes. 6. Preheat the oven to 350 degrees. Spray a 9 x 13 baking dish with cooking spray. 7. 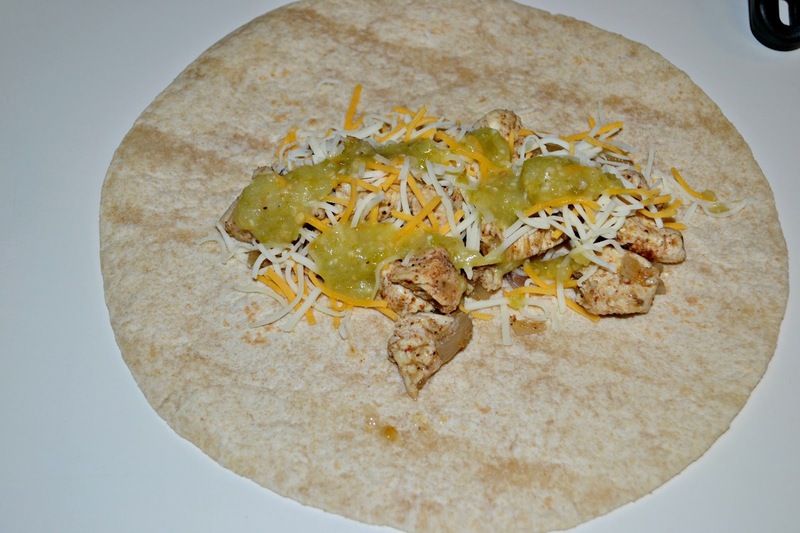 Place the tortillas on a table and divide the chicken evenly between the tortillas. Sprinkle 1 cup of cheese over top of the chicken. 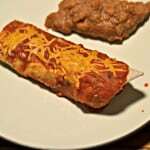 Spoon 1 tablespoon of sauce over top of the chicken on each tortilla. Roll the tortillas up and place in prepared pan. 8. Pour the remaining tomatillo sauce over top of the enchiladas and top with remaining cheese. 9. Bake for 20 minutes or until cheese is melted and the sauce has thickened. 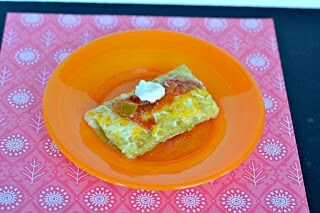 Remove from oven and top with sour cream and salsa.